Have no date? Nothing to do on a Friday night? 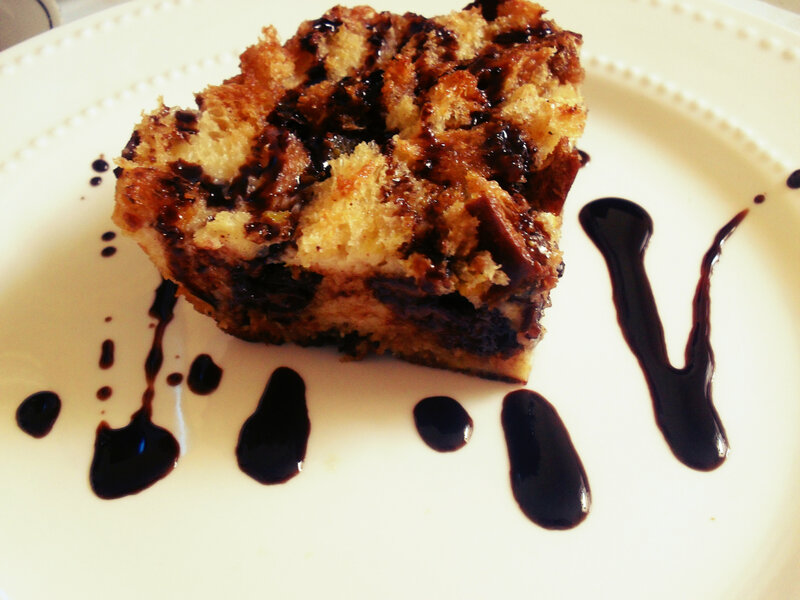 Well then make this fast and easy chocolate bread pudding- this consolation prize will make all your really-busy-‘cuz-I-have-a-life-friends super jealous and break up with their lousy boyfriends and want to spend their Friday nights eating this with you. But their sudden stroke of genius will be too late, because you’ve already used your magic bread pudding to wheedle your way through the stomach and into the heart of that cute trust fund baby you’ve had your eye on since for-evah! I credit my mum (no I’m not British, but it’s really fun to say mom that way) with this recipe. It’s pure delicious genius! Butter casserole pan. Put chunked up bread into pan in layers alternating with the pieces of Scharffen Berger. 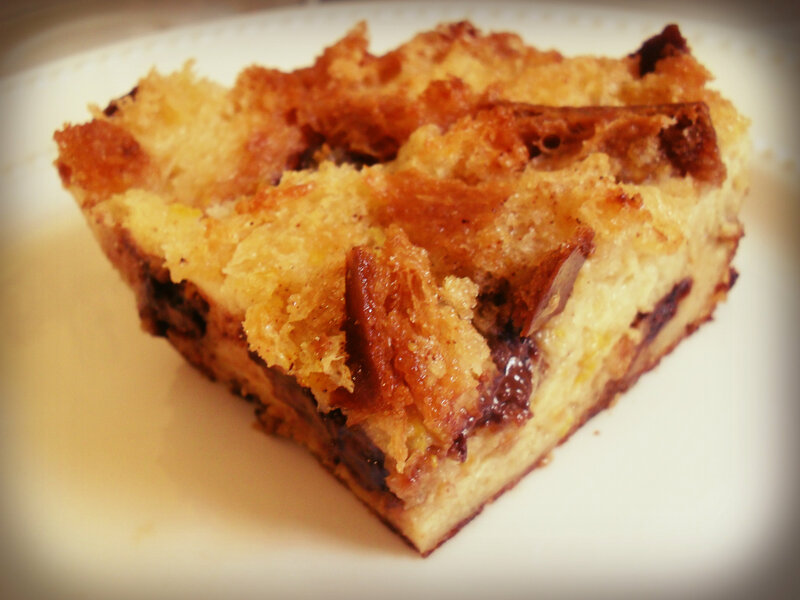 You want to disperse the chocolate so that when you bite into the bread pudding you have a chocolate chunk here and there. Lastly mix all the remaining ingredients in a large bowl, mixing really well. Then pour it over the bread chunks in the buttered casserole. If need be and if the bread is still too dry you may add extra milk (1/4 cup max). This is what it looks like right out of the oven- yum! Previous Post Ann I Am Giveaway! Express Yourself With a Mobilexpressions Cover! Just what she said! Yum!